The best screen capture software offers you a means of copying selected areas of your screen and sending your captured image to whichever application you want: your clipboard, Word, Excel, PowerPoint or wherever else you want to send it. 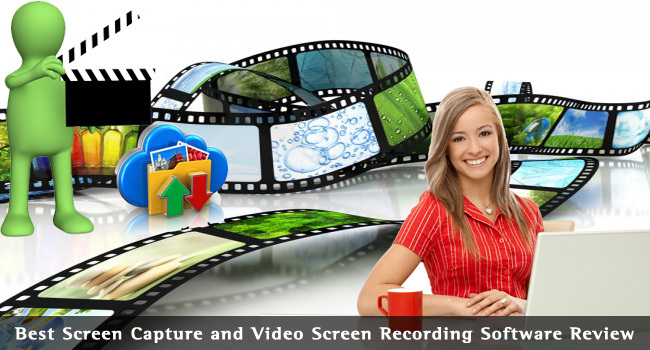 Video Screen recording software records the activity on your screen, whether you are watching a video or for educational purposes, such as demonstrating how to install or use software. Before looking at some of the best, we shall first discuss why static screen capture software is required. It can often be difficult to explain something in words that would be far easier demonstrated graphically. Try to explain what the various menu bars in Microsoft Excel look like using only words! Try to save small portions of your screen without having to save the entire screen: many people have the need to do this in order to demonstrate something that is not easy to explain in words. Everybody has come across a situation at some time or other when they wished they could copy just a small portion of their document, rather than using the ‘Print Screen’ option that copies the entire screen – including the menus and everything else that is visible. Sure, you could save it in a graphics format and maybe open it in an application such as Photoshop to crop the image to show only what you want, but there are much easier ways of achieving that. Here are some of the potential situations where screen capture software would definitely be of use, if not downright essential! When reviewing software and you want to show specific aspects of the application in use. You can display a screenshot of it in use with your website or blog, thus proving that you have actually tested the product and are not just copying from other reviews – which is more common than you may believe. When teaching people how to use a specific software application, you can show visually the various menus and displays. You can explain how each should be used – and display your results when you follow your own instructions. You can copy a section of any web page (yours or somebody else’s) to publish on another application such as Facebook or your Google+ page. If you have a problem that has to be passed on to a support service, you can copy the part of the screen showing the error code – or even display the actual error, which would be very useful to the support service. In presentations: with the right screen capture software, you can add arrows, annotations, highlights and many other customizations to your screenshot in order to focus attention on the relevant areas of the screen. 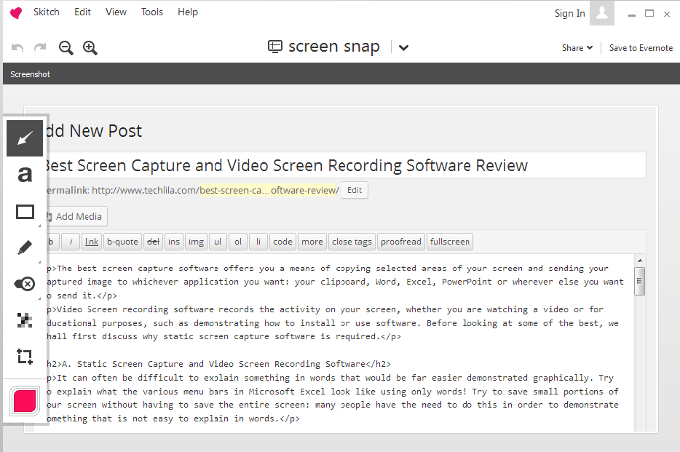 You can no doubt think of many others, but these are five very important ways in which you can use static screen capturing software. So what software is out there, and which would we recommend you try? Like any other software, there are always differences between such applications, and the best way to test them is to try them. Here are our picks as the best screen capturing software available today. Offered by Techsmith, Snagit is an excellent screen capturing application that is very easy to use. So it is always to hand when you need it. Click the red button (bottom right) and you will find an area of your screen has a new window, and you can create a rectangle with your cursor to show the area of your screen you want to capture. As you can see, the menu bar offers various enhancements such as arrows, text, drawing, painting and highlighting among many others. The ‘Send’ button (below ‘FTP on the far top right) sends the image to your choice. These are: FTP, E-mail, Program, Clipboard, Excel, Word and PowerPoint. You can send your screenshot to any of these applications. The image can then be used either directly in your document (such as here) or PowerPoint presentation, or copied into a graphics application from the clipboard. It can also be saved directly to your desktop or file structure in png, gif, jpg or any of 12 different graphics file formats of your choice for further processing. Scrolling and Time Delay: Snagit can also capture all the content of a scrolling window, and there is also a time delay feature enabling you take snapshots of your screen at specified times. You can use video capture to record mouse movements and screen activity as described later. There is also a web capture feature whereby you can capture all the pages in a website down to a specified level from the home page. In short, Snagit is the best screen capture software available today, and well worth trying out. You get a 15 day free trial. The only problem is its price: at $49.95 it not insignificant, but well worth the price if you use this type of software. Skitch is a good example of free screen capture software. It is actually a good annotation tool that was at one time also an excellent screen capture application, suitable for Windows and Macs, including the iPhone. However, when it was acquired by Evernote in 2011, it was changed dramatically and lost much of its appeal. After many bad reviews and user complaints, it has now been changed back in the form of Skitch 2.0.1 – but only to an extent. It is still not possible to resize your image using your cursor, and the magnifying glass that is used to check the accuracy of the screenshot is missing. Another important omission is your ability to copy the image to your clipboard and then to a Word page. You can either save image on local drive or to Evernote, to do that you must have an Evernote account to save your screenshots. You can post the screenshot on your Facebook, Twitter or LinkdIn account. Unfortunately, it is not possible to name your file – you are stuck with the default provided by Evernote. This is the URL of the image as saved to Evernote. Skitch is by no means a competitor to Snagit but is free, and it is OK if all you need to do is to capture a drawing or area of your screen to explain it better than using only text. The tools are basic, but useful, including arrows, text, basic colours and a pen. Best as an Annotator: Skitch probably finds more use with existing images. It handles basic image annotations very well. Simply upload an image from your computer or cell phone and the basic tools enable you to make annotations and highlights in a range of basic colours. This is likely its main intention, rather than as dedicated screen capture software. If you use the Evernote note-taking software, then Skitch is a handy little tool that enables you to incorporate screenshots or captured areas of the screen in your notes. Although it is free, you are better with Snagit for serious screen capture. Grabilla is a free screen capture application available in Windows, Android and MacOS versions. It is quick and easy to use, and saves your capture to the Grabilla server. It is basic with no editing facility, but if all you need is to take a copy of a section of your visible screen, then it works fine. You can also add audio to your static screenshot. While the software offers a screencast facility, enabling you to record your keystroke and mouse activity, this is very slow in playback and you are better with one of the systems below for this. Nevertheless, it is free and excellent for straight screen captures. Sometimes capturing a static area of your screen is not enough. You might want to display your cursor activity and the work you are carrying out on the screen. This is useful when explaining how to use software packages, recording a video showing on your screen or carrying out specific tasks online. In such cases you will need a means of videoing your screen as you work. You can use it to make your own YouTube videos, or shoot a number of ‘How-to’ videos as a free offer on your squeeze page or even as a commercial product. This is one sure way to really connect with your clients and offer them perceived value for your services. Here is a selection of screen video capture software. It is not claimed to be comprehensive, but offers a good selection of excellent screen recording applications. Capture cursor movement and screen changes. You can add an audio commentary as you carry out on-screen processes. You can customize your videos using imported camera shots, music or video to your screen captures. Your videos can be enhanced using themes, animated backgrounds, callouts and so on. Make your own professional videos for YouTube or for your blog. You can record either the entire screen or choose to mark out the area you want to record. Every change then made will be recorded until you decide to stop. You can choose cursor effects, and do what you want with the recording: copy it to your computer, FTP it or publish and share it. You can also add voice effects, and can talk while you are recording. Camtasia is the Ferrari of screen video capture software. It does just about everything you would want of such an application. However, its price tag will put most of using it after the free trial. 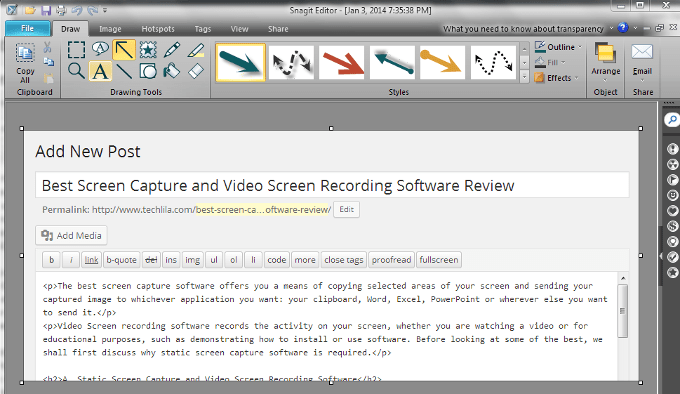 Snagit, described earlier, also offers screen video recording. This is based on the Camtasia suite, but is a smaller version. However, if all you want to do is to record the screen plus audio then Snagit works very well. Like Camtasia, you can select the area of screen you want to record, and once you start you will record everything that occurs visually on the screen. You can record the audio at the same time as you are recording the screen. Make sure you have a script ready so don’t hesitate while carrying out your on-screen actions. It lacks the more professional aspects of Camtasia. The above screen video recorders cost money. Ezvid is advertised as being a free version, although they are asking to make a donation of a minimum $9 before downloading the software. This appears to be mainly designed to record videos for YouTube. You cannot export your work, but can upload it directly to YouTube. With Ezvid, you can record your screen but cannot save your recording to a clipboard. However using the video editor, you can split your recordings and connect them using text. In other words, you can create a slideshow using text to explain the various components. You can also upload your work to YouTube directly from the application. Ezvid provides a ‘gaming’ mode, whereby you can record your game window. You can check back on your previous gaming strategies. You can add a music clip from the several provided, video clips and other graphics files. Once you have finished recording an editing, you can add a verbal commentary. It’s big weakness is that you cannot export your work. 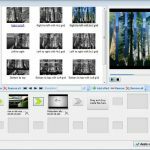 CamStudio is truly free, and is a good screen recorder for the average user. You can add annotations to your recording, and also add sound – music or a talkover. It does not match Camtasia of course, but is a good application nevertheless. If you simply want to make a video of your screen as you explain how to install and use software, how to use the internet or just make a simple video for YouTube, then CamStudio will be fine. It has few bells and whistles, but you can select areas of the screen to record and save your recording to FTP to your website or upload to your blog media folder. Where CamStudio falls down against its big brother is in its inability to support any file types other than AVI and SWF. It also has no video editor to enable you to optimize, trim and splice your videos. These can be serious omissions for many people. The former costs while the latter is free. However, with this type of software you get what you pay for, and sometimes it costs money for professional results. That is certainly true of online video recording software, where Camtasia is pricy but comes with all the bells and whistles you could ever need. The others are also useful, and CamStudio is the best of the free video screen recording applications. It is likely good enough for most users who want only to record keystrokes, mouse movements and type, but if you want professional results, then the expensive software does the job perfectly. Been using camtasia for awhile now and enjoying it a lot.. it’s good to have options though.. checking the rest of the software..
I’m using Snagit. it’s a really good software. Happy to see this good information in this site. Well done, thank you. This software is very nice and very useful.i like this software. Thanks for making an article covering such useful software. I use Camstudio as video capturing tool as it is free and open source. Will you please tell me, Is Snagit free to use? Read the article carefully, we’ve already mentioned about trial period and price. 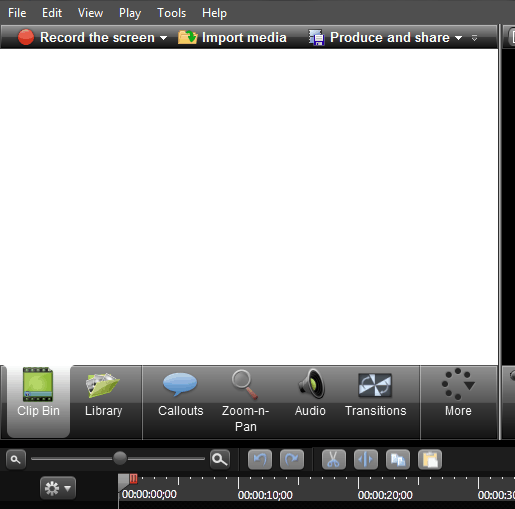 I asked about Snagit (Video Recorder) not Picture capture soft. You didn’t give any price information in your article about Snagit video recorder software. You gave price information for only Snagit picture capture soft. Same software is used for both purposes, you may use Snagit for screen as well as video capture. Screenpresso must be used instead. It’s a much better tool for video capture and screen capture. Excellent article, I’m starting now and really learned a lot from it, is one of the best tools to capture video.